In his dissertation, landfill mining is suggested as a tool to achieve an enhanced circular economy model. 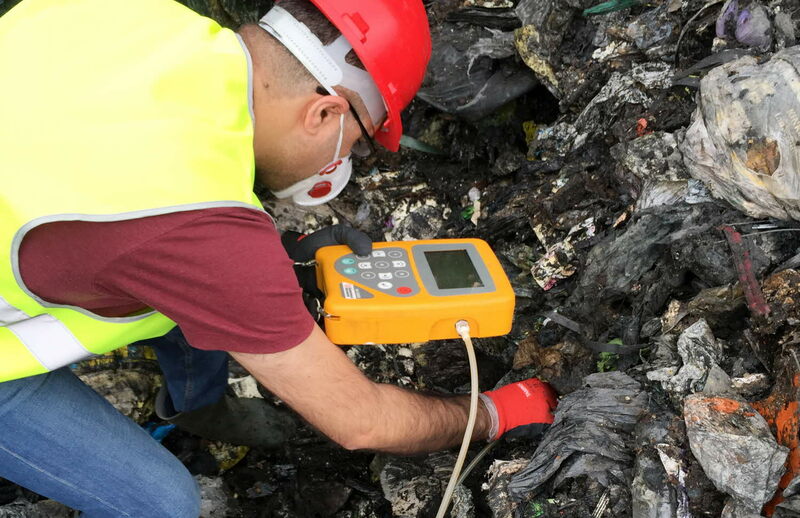 Viewing the landfill waste as a potential resource instead of as a problem is a common thread in Yahya's research. "More than 50% of the deposited waste dumped at landfills and open dump sites can be recycled as energy or reused as raw materials. These materials can be used as secondary resources in different industries instead of being forgotten or viewed as garbage", Jani explains. His research also includes the extraction of metals from Småland's art and crystal glass waste and different fine fractions. "I developed a method that enables the extraction of 99% of the metals from the glass waste that was dumped at Pukeberg's glassworks and published the results. It is the first published article in the world that deals with recycling of metals from art and crystal glass", says Jani. "The methods I've developed to extract metals from Småland's glass waste can be used to extract metals from all types of glass, like, for instance, the glass in old TV sets and computers. Thus, this method can be further developed at an industrial facility for the recycling of both glass and metals of high purity. This can also contribute to a restoration of Småland's glass industry by providing the industry with cheap raw materials. In addition, the extraction of materials from old landfills contributes to the decontamination of these sites and reduces the environmental impact and health threats" Jani concludes. The results from Jani's dissertation shed light on the need to view the dumped waste as a secondary resource and landfills and dumpsites as future bank accounts where future raw materials can be extracted instead of viewing them as a burden for human health and the environment.